Last year was a year of many anniversaries. One that was perhaps less noticed was the fortieth anniversary of Ignatius Press. 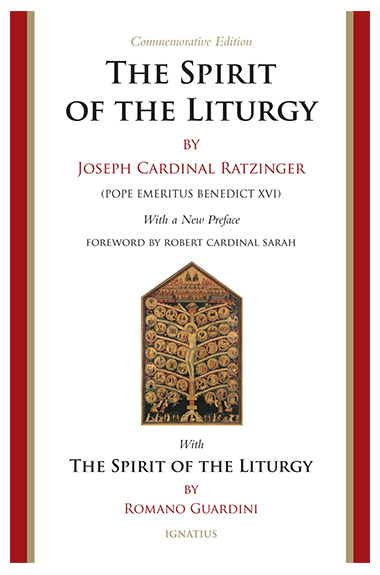 As part of that observance, its founder, Father Joseph Fessio, decided to reprint what has become a classic of the “new liturgical movement,” Joseph Ratzinger’s The Spirit of the Liturgy. The choice of both author and work was most appropriate: first, because Ignatius Press introduced the then-relatively unknown author to the Anglophone world (indeed, I suspect not a few of those early publications of Ratzinger sat in a warehouse until he came into his own as prefect of the Congregation for the Doctrine of the Faith and eventually as Pope! ); second, because Father Fessio has always seen the Sacred Liturgy as the locus privilegiatus. Reprinting the Ratzinger volume was not enough; included was the eponymous work by Romano Guardini, precisely during the centennial year of its original publication – a work consistently identified by Ratzinger as one of the most formative books for his personal spiritual life and for his academic orientation as well. The commemorative edition is graced by a preface of Pope Benedict and by a foreword by Cardinal Robert Sarah, prefect of the Congregation for Divine Worship and Discipline of the Sacraments, and one whom many of us consider to have assumed the liturgical mantle of Cardinal Ratzinger/Pope Benedict. Indeed, Pope Francis told him to continue the liturgical program of Pope Benedict. For the most part, I intend this review to concentrate on the salient insights of Father Guardini since, unfortunately, his name has been frequently invoked by all too many of the would-be liturgists of the post-Vatican II era, all the while failing to make a holistic presentation of the material found in his work. It is interesting to note that Guardini doesn’t offer particular suggestions for liturgical renewal as much as provide an over-arching framework for a genuine understanding of the Sacred Liturgy. Permit me to highlight but a handful of his many jewels. Guardini takes on the relationship between liturgy and devotional exercises, holding that both are needed, but in proper proportion. He warns: “If private devotion were nonexistent, and if the liturgy were the final and exclusive form of spiritual exercise, that exercise might easily degenerate into a frigid formula. . . .” I have long maintained that one of the reasons why the liturgy itself has taken on such an emotional and pietistic hue in so many places is precisely due to the near-total banishment of devotions like novenas and Benediction, which gave a space to the affective dimension of worship. Guardini sees through the problem of neo-Gnosticism because he has a profound appreciation of sign and symbol, a precursor of Mircea Eliade forty years later, with his magisterial The Sacred and the Profane. 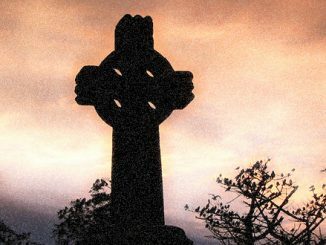 No slouch in this regard, either, was the late Father Andrew Greeley with his admonition that when we are talking about a “symbol,” it is never possible to modify it by the adverb “just.” Nothing is “just a symbol.” Guardini also devotes considerable space to a consideration of “the playfulness of the liturgy” – an expression which must not be mistaken for tomfoolery; rather, it means that the liturgy is not done for any personal gain or for any “payback.” Josef Pieper teased out some of this meaning in Leisure, The Basis of Culture (1947), while Hugo Rahner2 produced Man at Play (1963). Closely aligned with this point comes Guardini’s assertion that liturgy is not didactic (pace, the Eastern Orthodox who would disagree) – although we can learn from it. He explains: “. . . the liturgy has no thought-out, deliberate, detailed plan of instruction. In order to sense the difference, it is sufficient to compare a week of the ecclesiastical year with the Spiritual Exercises of Saint Ignatius. In the latter, every element is determined by deliberate choice, everything is directed toward the production of a certain spiritual and didactic result. . . . . It is not so with the liturgy. The fact that the latter has no place in the Spiritual Exercises is a proof of this.” Perhaps this helps us appreciate the Jesuit Pope’s apparent lack of interest and even seeming boredom during the celebration of the Sacred Mysteries. Between Guardini’s opus and that of Ratzinger, stand two magisterial documents: Mediator Dei of Pope Pius XII and Vatican II’s Sacrosanctum Concilium. Those two documents mine the gold from the early liturgical movement, epitomized in Guardini. Also lying between the two German theologians was a massive cultural devolution (one which Guardini could only espy from afar). Ratzinger’s Part One develops much of Guardini’s theoretical foundations, taking into account the magisterial and cultural developments. The rest of the Ratzinger work is application, as if to say, “If you understand and accept these principles, then this is what you should be doing.” Thus, we are treated to the Cardinal’s “take” on neuralgic issues like: ad orientem celebrations of Mass; the place of Latin; the nature of sacred music; the placement of the tabernacle; what constitutes sacred art during a revival of iconoclasm; the importance of kneeling; the centrality of silence. I have given somewhat short shrift to the Ratzinger work because it was a best-seller when it first hit the book stores and continues to be a point of reference. Pope Benedict would not be offended and would actually agree. Why? Because he has always seen the importance of laying a proper foundation. In the previous paragraph, I said, “If you understand and accept these principles, then this is what you should be doing.” That is the crux of the matter. In the liturgy wars, we often have argued about liturgical dance and Renaissance polyphony and modes of distributing and receiving Holy Communion. 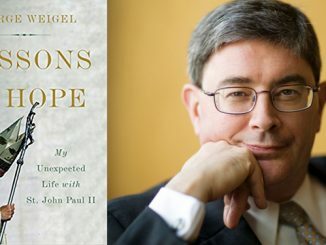 At the end of the day, those matters are symptomatic of a far deeper problem, namely, that all too many among us (especially in the liturgical elite circles) do not “understand and accept these principles.” Which is to say that our difficulties are not about taste but about doctrine. Christ bids us “worship in spirit and in truth” (Jn 4:24). These two texts can do much to lead us on that royal path. 1Parochial and Plain Sermons, 2.7. 2The brother of Karl Rahner, who quipped that he intended to spend his retirement translating his brother’s works into German! 3The Glory of the Lord: A Theological Aesthetics, Volume I. A wonderful exposition of the liturgical thought of Romano Guardini. Clarifying and exemplary [thanks to Fr Stravinskas on Guardini, Pieper et al]. Whenever I offer NO Mass with the community [private Masses always NO in Latin] I’ll keep in mind [I hope] “The House and the Court of the Divine Majesty”. Stravinskas rightly highlights that truth from which all else liturgical flows. Half a century of Novus Ordoism has brought about a fundamental shift in how the majority of baptized Catholics view the Church. It is no exaggeration to say that it has produced something of a parody of Catholicism with an inordinate emphasis on “the community” rather than on the worship of God, “in community”. Even to many regular Sunday Mass attendees, Mass is regarded as a social gathering at which the priest is no longer an alter Christus offering the Holy Sacrifice on the Calvary that is the altar, on our behalf. Rather, to many he now has the function of an emcee at a social event, and sasdly many priests do little or nothing to disabuse us of this false notion. Liturgical music has been replaced by anodyne religious entertainment, and there are those who, having been thus “entertained” demonstrate their appreciation at the conclusion of the proceedings with a round of applause. It should be noted that Guardini died a year before the Novus Ordo was imposed by Paul VI. The development of his entire spiritual and intellectual life and especially his “over-arching framework for a genuine understanding of the Sacred Liturgy” therefore cannot possibly be understood, let alone applied, without reverencing and sharing the traditional Latin liturgy and the “Mass of all times” that nourished and sustained him. And it is precisely too because the doctrine held by Guardini, Pius XII, and Pieper is not shared by the Novus Ordo that “ad orientem celebrations of Mass; the place of Latin; the nature of sacred music; the placement of the tabernacle; what constitutes sacred art during a revival of iconoclasm; the importance of kneeling; the centrality of silence” are today characterized as “neuralgic” and almost universally excluded and even forbidden, as Pope Francis did to Cardinal Sarah’s instruction on ad orientem celebration despite deceitfully encouraging him “to continue the liturgical program of Pope Benedict”. The emerging reality is that a counterfeit liturgy has produced a counterfeit Church with a counterfeit hierarchy that is in turn producing seismic schisms in doctrine and discipline. Guardini’s great value lies in bearing witness to the primacy of truth in the traditional Sacred Liturgy’s manifestation of immutable Catholic doctrine. Ad orientem, Latin, sacred music, tabernacle in the center, kneeling (including at the altar rail, and silence. There is also at least one traditional form of the Mass each day. does properly in its Novus Ordo Mass. It is so important for you to understand that the Novus Ordo Mass itself is so contrary and contradictory to the Church’s Holy Sacrifice of the Mass, that it is the primary reason for the loss of faith of millions. I pray that every Catholic who wants to be faithful to Christ take some time to study the differences in these two Masses. I am blessed to be able to attend the Tridentine Rite Mass nearly every Sunday. I pray that this is a moment of insanity within our Church and that, paraphrasing Paul, above, our counterfeit liturgy and counterfeit hierarchy will be eclipsed. If so, it will be another act of a merciful God towards an undeserving people. I read “The Spirit of the Liturgy” by Pope Benedict several years ago. It’s an excellent work. I sometimes do wonder about what exactly replaced Latin back in the late 1960’s in seminary class study. Such a large gap had to be filled by something. It all seems like tragic irony considering that it all came coincidental to what we can imagine to be the moral (homosexual) decline in priestly formation. Truth be told, Latin did not have a very big place in the old seminary system BECAUSE most seminarians came in with at least four years of high school Latin. Of course, the liturgy was in Latin and textbooks were in Latin — but Latin as a subject was generally only for “late vocations” who may not have had the academic background. Wow! Reading this three things jumped out immediately as to why the liturgy has been such a trial for so long. Instead of the heart being guided by reason the liturgists have tried to appeal to emotions. The liturgy has also been guided by the cult of the slob. And the liturgy has been directed by pride, egoism, and narcissism. Thank goodness things are getting better in many places. I would argue that the “reform” of the liturgy was not a reform but a purposeful transformation designed to indoctrinate Catholics into the synthesis of heresies, Modernism, and done exactly like Crammer with demonic success. Reams of works critical of the Novus Ordo are available for those who actually want to know the truth about who and why this abomination was foisted upon us. Catholics were robbed of their heritage, deceived beyond imagination and “by their fruits ye shall know them” find the idolatry, blasphemy, and sacrileges inherent in this false worship have served to destroy the faith of millions. I would not dishonor God by attending this abominable service. 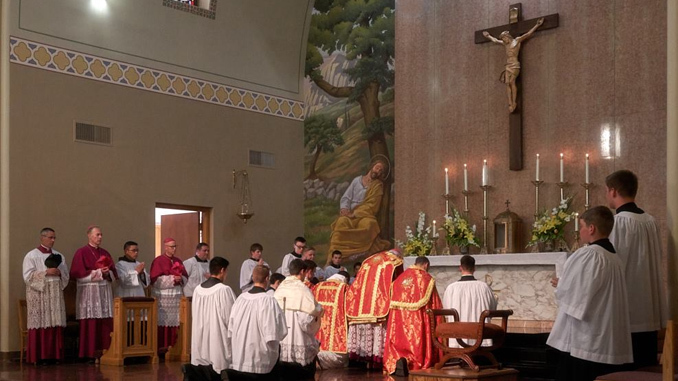 It isn’t the Holy Sacrifice of the Mass. It is an invention of man, man-centered and as fake as our daily fake news. “In place of the liturgy, fruit of a continual development, they have placed a fabricated liturgy. They have deserted a vital process … to substitute a fabrication. 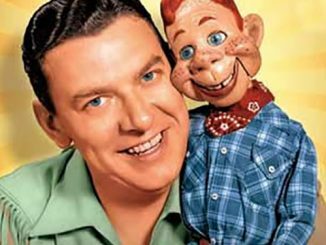 They replaced it … by a fabrication, a banal product of the moment.” Who is this “they” Ratzinger was talking about? Oh, yes, Pope Paul VI, one of our instant saints, the supreme wreckovator of our age. The reform was going badly enough, but got much, much worse due to the active intervention of Paul VI, and his gullibility to the machinations of Annibale Bugnini. But notwithstanding the latter’s influence, we have the Novus Ordo because Paul VI wanted it and imposed it by papal fiat. That couldn’t have happened by any other means.